Delaware ghost towns exist as empty holes in the ground. Nothing remains of the home our town except a stone cellar. Sometimes you can see old, broken bottles, or bits of pottery shards, the only reminders that once upon a time, there was a family, or a town that had lived there. If you love American history, you and your family can search for these old home sites. It’s an exciting adventure that will give you the opportunity to understand how difficult it was for those first pioneers to live under harsh conditions. Many others have spent time searching for these areas. This page and throughout my website, are more guides to help you. Some, like myself, have used metal detectors around the old cellar holes. It’s a fun adventure, and you never know what you can find. How to locate these lost eastern towns is completely explained throughout my website. More than 400 pages of information to help you find the old towns. My first TV show was all about “Ghost Towns of the East”. Here is a list of some of those gone but not forgotten towns. Some of these areas may have abandoned buildings to explore. Have fun, and good luck in your search for these old Delaware ghost towns. Carpenter is located approximately 1 mile northeast of Ardentown. Dupont is located approximately 2 1/2 miles southeast of Cheswold. Blanchard is located approximately 4 miles northwest of Greenwood. Bunting is located approximately 3 1/2 miles east of Selbyville. Dale is located approximately 2 miles north of Bridgeville. 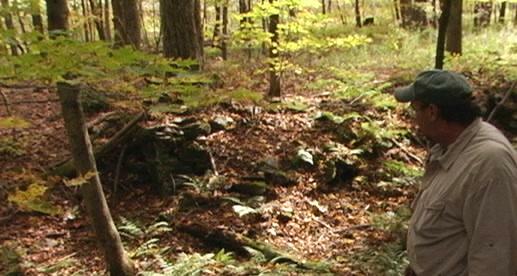 Messick is located approximately 1 mile west of Gravel Hill. These are just a few of the hundreds of other ghost towns in this State. You can discover many more in your drives, or hikes by paying attention to the signs of a nearby old town. In addition, there are thousands of ghost towns of America scattered across the U.S. Perhaps you are interested in visiting those as well. You may also be interested Americas western ghost towns. My guide book to help you find the eastern ghost towns is now an ebook edition. 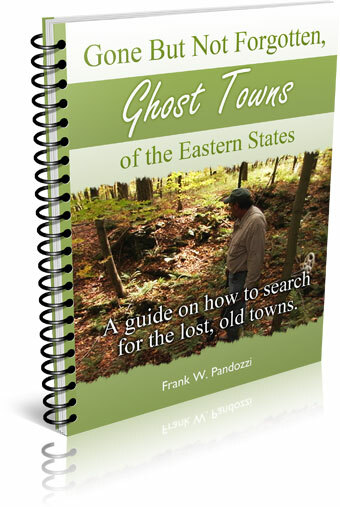 To help you find the old ghost towns that are all over the eastern states, I have written a guide book to help you. This book is a download. It is not a hardcover edition. It will explain how to look for the signs that show where an old town or home site once existed. Also in my book is a story about a mini cache that was found at an eastern ghost.